Britt Marie knows how she likes things, and they must be done in the right way. Coasters must be used, cutlery must be in order and cleanliness is a high priority. 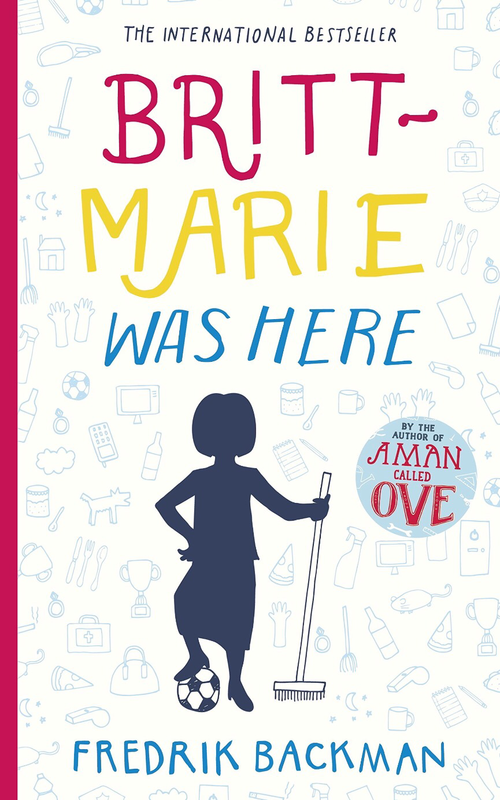 You meet Britt-Marie and her husband Kent in Fredrik Backman’s previous book My Grandmother Sends Her Regards and Apologises but you don’t need to have read that first to really appreciate Britt-Marie Was Here. This book takes a deeper look at who Britt-Marie is, how her past has influenced her as a person, and how she changes after taking a job in a place called Borg. It is quite similar to Fredrik’s A Man Called Ove, but I found the story explored so much more than the central character. Borg is a very quiet place where most of the shops and community buildings have closed down due to the financial crisis. Here Britt-Marie meets a strange mix of people and a wonderful bunch of kids who are all trying to get by as best they know how. Britt-Marie came from the city so this quiet and quirky place is quite a shock for her. As Britt-Marie gets to know the residents, we get to know more about what made her into the person she is today. Britt-Marie isn’t someone you love as a character straight away, but gradually as you watch her develop. The book shows how Britt-Marie changes Borg, and how Borg changes Britt-Marie. It is full of humour, but also a touching story exploring the lives of each character in turn. Secrets are revealed and heartbreaking stories develop as the community comes together. Fredrik Backman has a stunning way of making you feel for the characters without overly describing them. Their personalities shine from the page and finishing the book leaves you missing them. I absolutely adored Ove, but I think this has to be my favourite book from Fredrik Backman. I loved how Britt-Marie developed through the book into a loveable character, but also how I got to know each member of the community and their backstory. I received an advance copy of the book from the publisher. You can read my review for Fredrik Backman’s other books here: My Grandmother Sends Her Regards And Apologises and A Man Called Ove. I loved his other two so must get around to this one sometime. I’m sure you’ll love this one too!